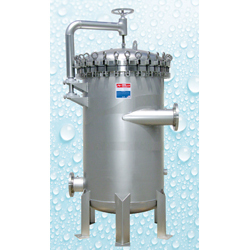 The Involute filter utilizes the intelligent design of Hurricane technology—flow energy is used to separate dense solids prior to filtration, extending the filter cleaning cycle and cartridge life. The rotational flow evenly applies particulate over the entire cartridge stack while maintaining the patented upflow design. See this product at WEFTEC booth 642.